Organizers of a popular Tampa Bay festival are warning about a potential scam that could cost you hundreds of dollars. 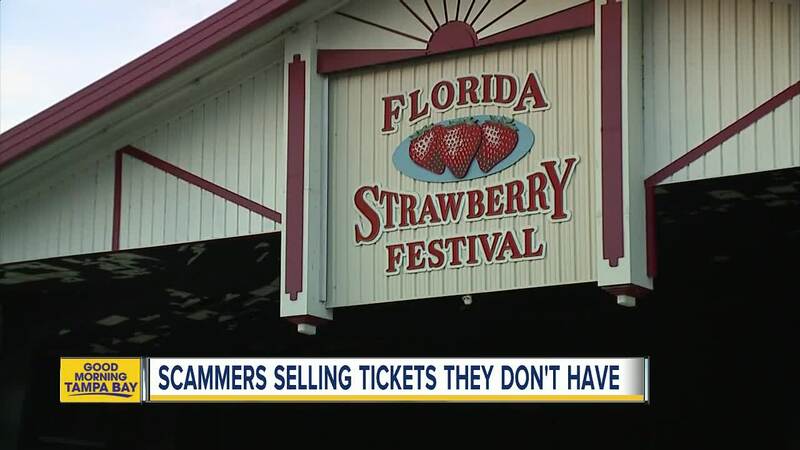 PLANT CITY, Fla. — Organizers of a popular Tampa Bay festival are warning about a potential scam that could cost you hundreds of dollars. 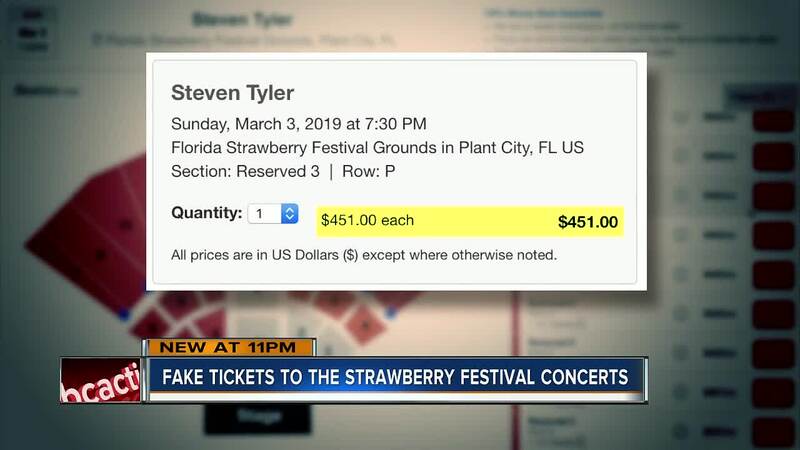 Only hours after the Florida Strawberry Festival announced its 2019 music lineup, second-hand ticket sites started advertising tickets at an inflated price. “People were calling us saying ‘I can’t believe you’re charging $800 for a ticket or $400 for a ticket. And we weren't," said festival president Paul Davis. After a simple Google search, ABC Action News discovered websites like Ticket City and Cheap Tickets selling seats for Steven Tyler, Willie Nelson, and Alabama for more than $400. The problem is those tickets don't go on sale until Dec. 6. "I don’t know how they can guarantee those seats, we haven’t even sold the tickets," said Davis. Davis, who retired from the Hillsborough County Sheriff's Office, says the websites reselling tickets are failing to tell buyers that they are not associated with the festival. Davis urges festival-goers to buy directly from the Florida Strawberry Festival website or at the box office in Plant City.